I want to learn more about Online Wealth Summit 2018! Change your mindset to a mindset of abundance, and learn strategies for building automatic money machines, from Bo Sanchez’ mentors! 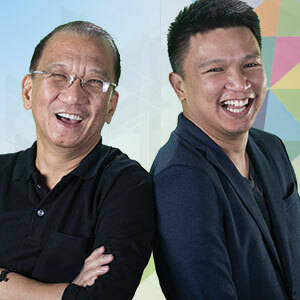 learn from Bo Sanchez, our mentor, inspiration and friend, who will teach you what you need to know to change your financial life. If you have ₱ 200 ( two pesos)**, you can attend the first Truly Rich Club Online Wealth Summit this September 22, 2018. Yes, I want to attend the Online Wealth Summit 2018! ** ticket prices started at ₱100 last July. It has now doubled to ₱200. Register now before it goes up to ₱500! This entry was posted in Bo Sanchez, Truly Rich and tagged arun gogna, Bo Sanchez, money machines, online wealth summit, rex mendoza on September 7, 2018 by Bobet Prudente. Oh, yes. We have a love affair with big. We want big people. Big titles. Big roles. Big paychecks. Big cars. Big events. But today, you’ll realize that when we don’t value small things, small actions, small roles, small gifts—we lose the biggest blessings of our life. I’d like to talk about small repeated actions. The Bible says, “Whatever your hand finds to do, do it with all your might, for in the realm of the dead, where you are going, there is neither working nor planning nor knowledge nor wisdom” (Ecclesiastes 9:10). And that’s what she did. For the past 18 years. While I was on the stage preaching to thousands, she was at the backstage — in the dressing room — preaching to our two small boys. While I was building worldwide ministries, she was changing diapers. She was reading bedtime stories. She was playing with them, singing with them, and praying with them. She focused on the small things because deep down, she believed they were the big things. I’d just listen to her and hug her tight. But a few years ago, something happened. My wife entered into a new season. Our youngest son Francis turned 10 years old. And she noticed that she then needed to give him more independence—for his own maturity. Before I knew it, she was becoming more active in both our business and our ministry. And I love seeing her do this. Let me ask you: What are the small things that you need to do today? If you do them with great love, small is big. Stop looking at what other people are doing. Your God assignment is different from their God assignment. Do whatever is in front of you. P.S. You want to be a millionaire. You want to be truly rich. You want to bless other people. You want to be a channel of God’s blessings. And you will be. A lot of people think that once they’ve started investing in the stock market, they’d suddenly become rich. But that’s now how it works at all. YES, you can become a millionaire by investing in the stock market. But you also need SMALL, REPEATED ACTIONS for this. You need commitment. You need consistency. I know I’ve sent out this invite MILLION times before, but I will send this out a MILLION times more. Because I want you to become a MILLIONAIRE. So you can live life to the fullest. So you can be a channel of God’s blessing. 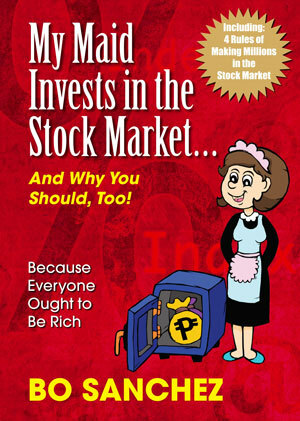 This entry was posted in Bo Sanchez, Seminar and tagged Bo Sanchez, How to Make Millions in the Stock Market, seminar, Small Repeated Action, The Power of Small on July 21, 2017 by Bobet Prudente. 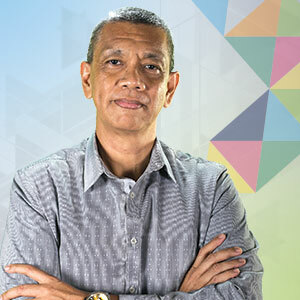 Gene Battung, Accredited Trainer, Six Thinking Hats, will speak on “Parallel Thinking & Provocation Thinking Tools” at Bo Sanchez’ Kerygma Conference 2016 – Forward. Learn new ways of thinking, of educating people about leadership, and raising the quality of thinking. Gene Battung is a certified Six Thinking Hats trainer and has been teaching Dr. Edward De Bono’s Six Thinking Hats Method to professionals, students, government, non-organizations, and churches for more than two decades. Alongside business and training, he works with advocacy groups to establish reading and feeding programs in depressed communities. He also founded Small Brain which promoted TED Talks in the country. This entry was posted in Kerygma Conference and tagged Accredited Trainer, Bo Sanchez, Gene Battung, kerygma conference 2016, Parallel Thinking and Provocation Thinking Tools, Six Thinking Hats, smx mall of asia on November 12, 2016 by Bobet Prudente. Jan Silan, Builder, Feast Makati – Salcedo, will speak on “How to Reach Yuppies” at Bo Sanchez’ Kerygma Conference 2016 – Forward. Date: Friday, November 18, 2016. Jan Silan is a gifted preacher, serving as Feast Builder for Feast Makati Salcedo and Feast Makati Amorsolo of the Light of Jesus Family. He is a favorite speaker for recollections and retreats. 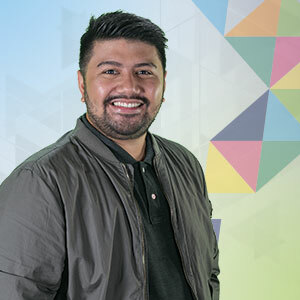 His previous work as an IT Professional has facilitated his use of the most updated technology for his preaching, creating an appealing environment for the millenial generation. This entry was posted in Kerygma Conference and tagged Bo Sanchez, Builder, Feast Makati - Salcedo, How to Reach Yuppies, Jan Silan, kerygma conference 2016, smx mall of asia on November 12, 2016 by Bobet Prudente. Fr. 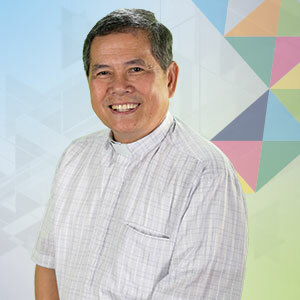 Larry Tan, SDB Salesian Priest, will speak on “Grace of Later Years” at Bo Sanchez’ Kerygma Conference 2016 – Forward. Fr. Larry Tan, SDB is an educator, retreat master and author. He is Missions Director of the Salesians of Don Bosco. Fr. Larry Tan, SDB is an educator, retreat master and author. He is Missions Director of the Salesians of Don Bosco. He works closely with the youth through different organizations at the Don Bosco Technical Institute and has a gift for reaching out so the youth relate well to him. This entry was posted in Kerygma Conference and tagged Bo Sanchez, Fr. Larry Tan, Grace of Later Years, kerygma conference 2016, Salesians of Don Bosco, SDB Salesian Priest, smx mall of asia on November 11, 2016 by Bobet Prudente. Fr. Joel Jason, Diocesan Priest – Archdiocese of Manila, will speak about “Living Life to the Full: Dreaming God’s Dreams for You” at Bo Sanchez’ Kerygma Conference 2016 – Forward. Fr. Joel O. Jason is a diocesan priest, currently serving as parish priest at the Mary Mirror of Justice Parish in Comembo, Makati. He earned his Licentiate Degree in Moral Theology from the Pontifical Gregorian University (Rome), and teaches Fundamental Moral Theology, Bioethics, Sexuality and Integrity, and Hearing Confessions at the Theology department of San Carlos Seminary. He has also authored the book Free Love, True Love under Shepherd’s Voice Publications. Fr. Joel regularly celebrates the Eucharist at the Feast Bay Area of the Light of Jesus Family. This entry was posted in Kerygma Conference and tagged Archdiocese of Manila, Bioethics, Bo Sanchez, Fr. Joel Jason, Free Love, Fundamental Moral Theology, kerygma conference 2016, Living Life to the Full: Dreaming God's Dreams for You, Sexuality and Integrity, smx mall of asia, True Love on November 11, 2016 by Bobet Prudente. Fr. Dave Concepcion, Sta Maria Goretti Parish Priest, will speak on “Imagine the Unimaginable for God” at Bo Sanchez’ Kerygma Conference 2016 – Forward. If you can imagine it, you can become it. Fr. Dave Concepcion is the Parish Priest of Sta. Maria Goretti Parish. He is also President & Pilgrimage Chaplain of Catholic Travel Inc., the Ministry on Pilgrimages of the Roman Catholic Archdiocese of Manila. He is also the Spiritual Director of Rivers of Living Water Catholic Community. Fr. Dave regularly celebrates Holy Mass at the Feast Bay Area of the Light of Jesus Family. This entry was posted in Kerygma Conference and tagged Bo Sanchez, Fr. Dave Concepcion, Imagine the Unimaginable for God, kerygma conference 2016, Rivers of Living Water Catholic Community, smx mall of asia, Sta Maria Goretti Parish on November 10, 2016 by Bobet Prudente. 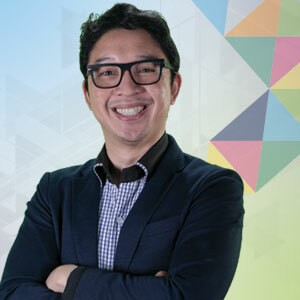 Pinky Medina, Executive Director, Venture for Fundraising, will speak on “Raising Faith, Friends and Funds” at Bo Sanchez’ Kerygma Conference 2016 – Forward. 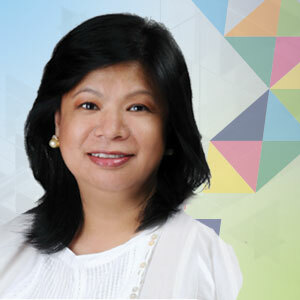 Pinky N. Medina is Executive Director of Venture for Fund Raising, supervising the organization’s consulting, training and research programs. She provides consulting expertise on fund raising planning, implementation and evaluation for Venture’s NGO and non-profit partners, as well as Corporate Social Responsibility (CSR) program development, implementation and assessment with Venture’s corporate and corporate foundation partner. This entry was posted in Kerygma Conference and tagged Bo Sanchez, Friends and Funds, kerygma conference 2016, Pinky Medina, Raising Faith, smx mall of asia, Venture for Fundraising on November 9, 2016 by Bobet Prudente.